Bitcoins have become the most popular form of cryptocurrency. They are rare and acclaimed by many investors. Like many forms of investment, the bitcoin market has had its ups and downs. It has resulted in some major profits and some major losses for those who are involved in aggressive investing. As an investor yourself, you may be considering buying bitcoins. Here, you will find what you need to know before buying bitcoins. The most important factor you should look into before buying bitcoins is how the process works. First, you must sign up for an exchange. Next, you will be asked to connect your bank account the exchange. After connecting, you will have access to selling and buying bitcoin. You will have access to sell to and buy from people in the United States, Canada, Singapore, the United Kingdom, and some of Europe. It’s a fairly easy process, but make sure you contemplate and understand it. Money loss is a risk you always have when investing in stocks, bitcoins or binary options. You should consider the level of riskiness before buying bitcoins. There are multiple risks involved that could lead to the loss of money. You can lose out as you would in any other investments. If the market hits a low point, so will your profit. There is also a chance of fraud with bitcoins that could result in a major loss of money for you as an investor. Cybercrime is very real. It has occurred with bitcoins in different parts of the world. Consider these possibilities of a negative profit before purchasing bitcoins. There are multiple exchanges available for buying bitcoins. They are not all created equally. You must research the specifics of each exchange before buying with one of them. Look for whether or not an exchange accepts investors for the country you reside in. Pay attention to the fees and exchange rates you are required to pay. Research the buying limits per each exchange. These are all critical points that must be researched before buying. 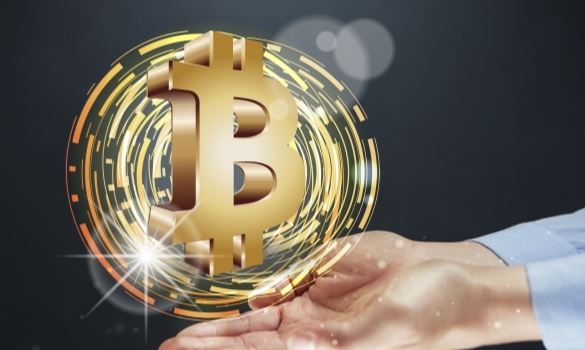 Familiarize yourself with the interest that is generated by purchased bitcoins. You can earn interest with bitcoins in many ways. Holding bitcoins can result in you earning interest on them later on. This could lead to great returns. You can generate interest through the different exchanges. Some allow you to increase your profit by borrowing bitcoins. Bitcoin mining will also allow you to increase your interest rate. Explore these different possibilities prior to purchasing bitcoins. Understand that there aren’t any financial intermediaries when buying bitcoins. The government is not involved. Banks aren’t present during any transactions. The typical third party intermediaries do not have the power to affect your bitcoin account. This provides you with more freedom similar to buying gold. While this can be seen as an advantage by many investors, it could also be a disadvantage. No intermediaries means no help from anyone else if you suffer from theft or fraud. Before you jump into buying bitcoins as an investment, contemplate this. A lot of serious thought should go into buying bitcoins. You must understand how the process works before beginning it. Consider the risks of losing money. Know that not all available exchanges are created equal. Research ways that bitcoins can generate interest. Contemplate whether the no financial intermediaries aspect is an advantage or a disadvantage for you as an investor. You should know all of this before buying bitcoins.